iPhone to external hard drive backup software is your saver this time! Not enough storage space on your Macbook Pro/Macbook Air or Windows computer for iPhone backup files, iPhone photos and videos? Here you can instantly and directly backup iPhone to external hard drives, SSDs flash drives, CD-RW discs, and even NAS devices without taking up any computer storage space, with ENCRYPTION! 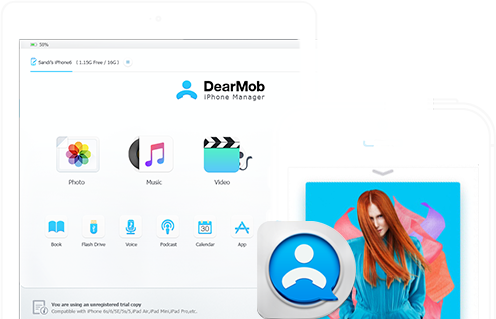 DearMob iPhone Manager is a professional iPhone backup tool designed to sync and backup iPhone without data loss and with encryption. 1. Supports for Direct-attached storage(DAS) and Network-attached storage(NAS) , thus allowing users to backup and transfer iPhone data directly to external hard drives, USB drives, CD-RW, as well as NAS devices. 2. Handles 12 types of iPhone data including Photo, Music, Video, Book, Calendar, SMS, Contact, and lets you choose where to backup iPhone to. How to Backup iPhone to External Hard Drive Directly? 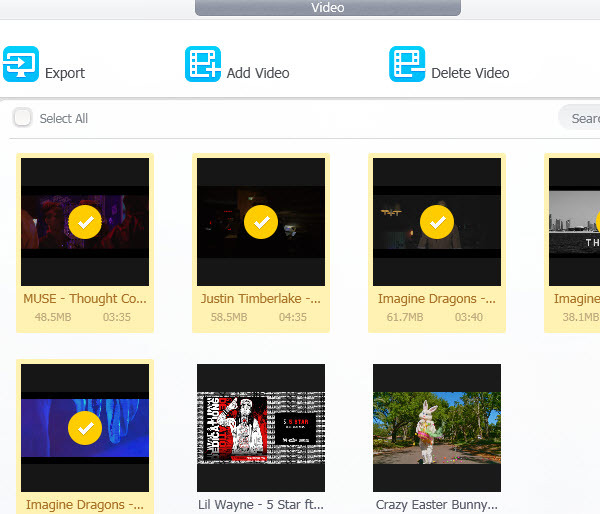 DearMob iPhone Manager allows you to save and backup iPhone videos, music, iPhone photos and other data to external hard drives, SSD card, USB drives, HHD, CD-RW, directly without occupying any computer storage space. 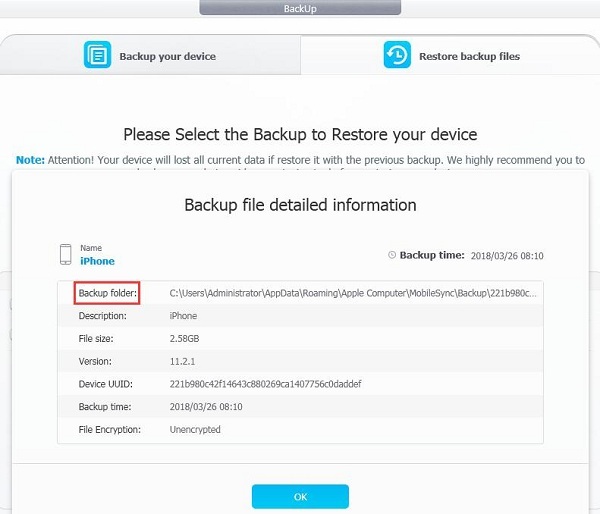 This iPhone backup software will auto-detect your iPhone iOS device and build connection. The available storage, iOS version and battery status will also be presented for your consideration. Step 4: Click the "Pen" icon to edit default path for each items. You can set the default export path of iPhone photo, music, video, and other data to target external hard drives respectively. You can "Select All" video or select several video randomly. Tip and Notes: It's also recommended that you backup iPhone text messages regularly when you need to put it away for a while. 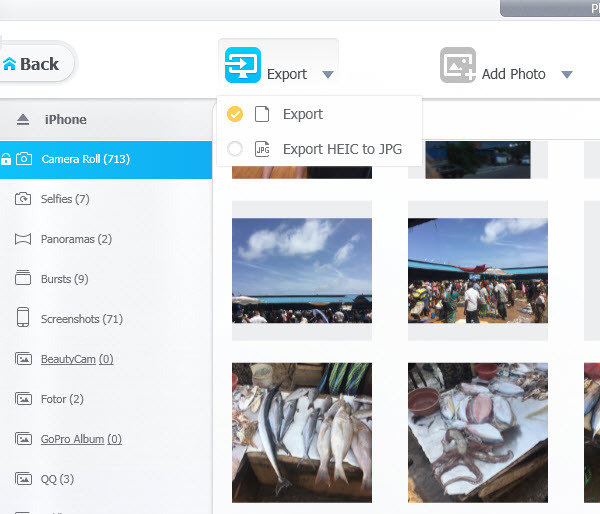 You can "Select All" photos or select several photos randomly. iPhone live photos will be exported followed with an MOV file. How to Move iPhone Backup to External Hard Drive? To move iPhone backup file to external hard drive requires that you find iPhone backup location and corresponding backup files. Step 1: Find your iPhone backup location by clicking "i" icon to visit backup file info under "restore iPhone backup files" tab. 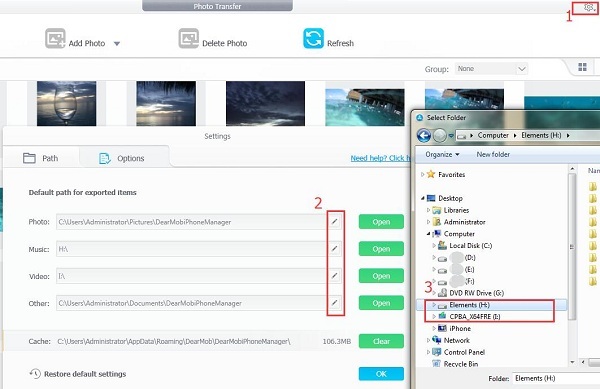 Step 2: Locate your iPhone backup files in computer and copy-paste them to your external hard drive. Note: Since DearMob iPhone Manager applies incremental backup type like iTunes does, you'd better keep and save all those backup files in line in one place instead of missing any file in between.